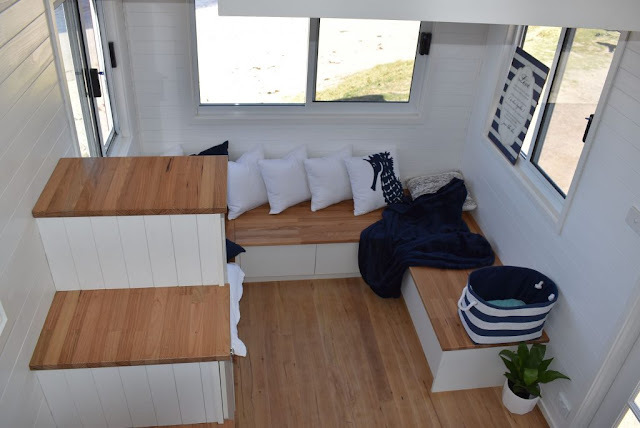 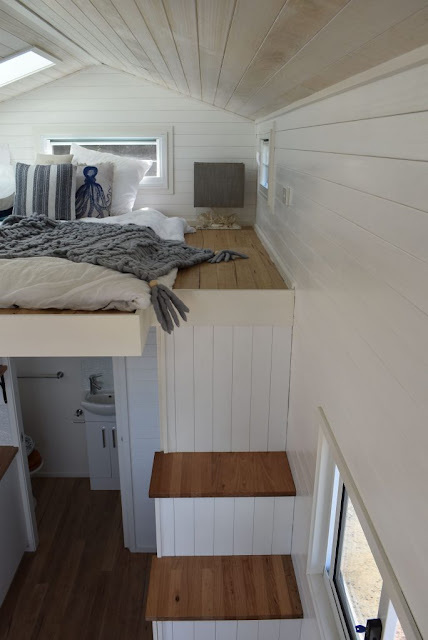 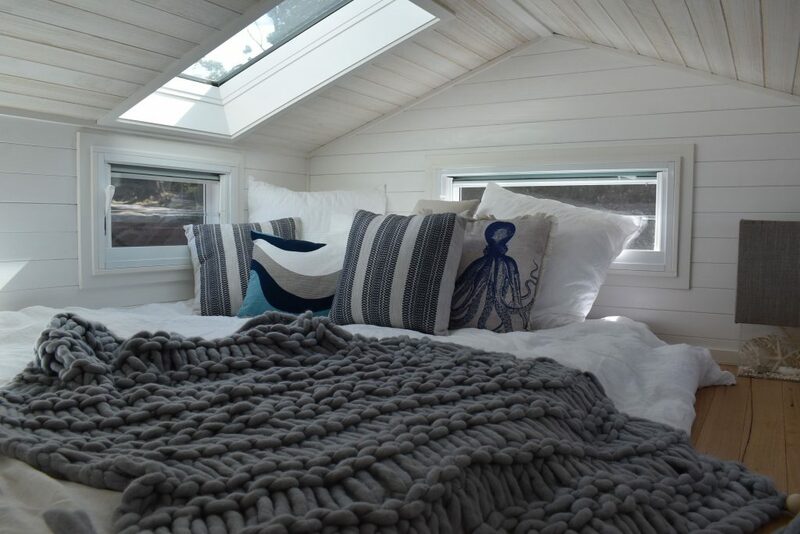 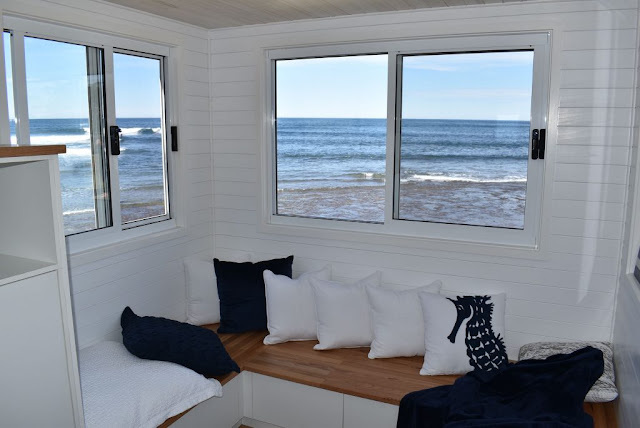 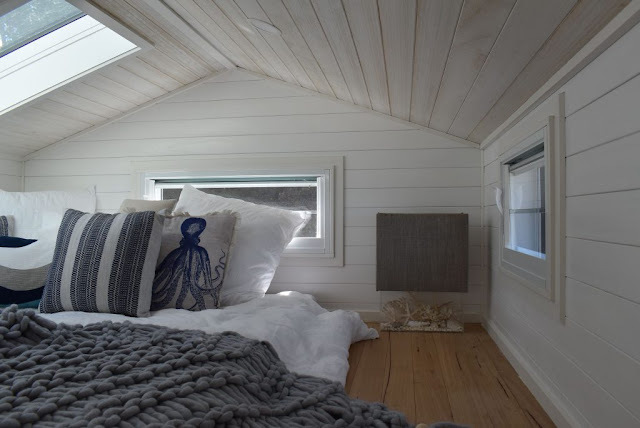 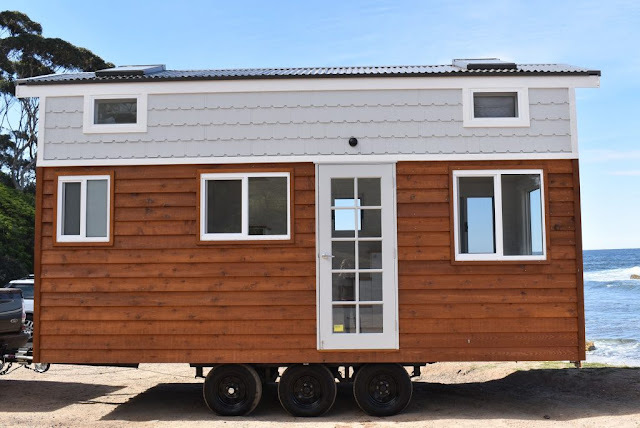 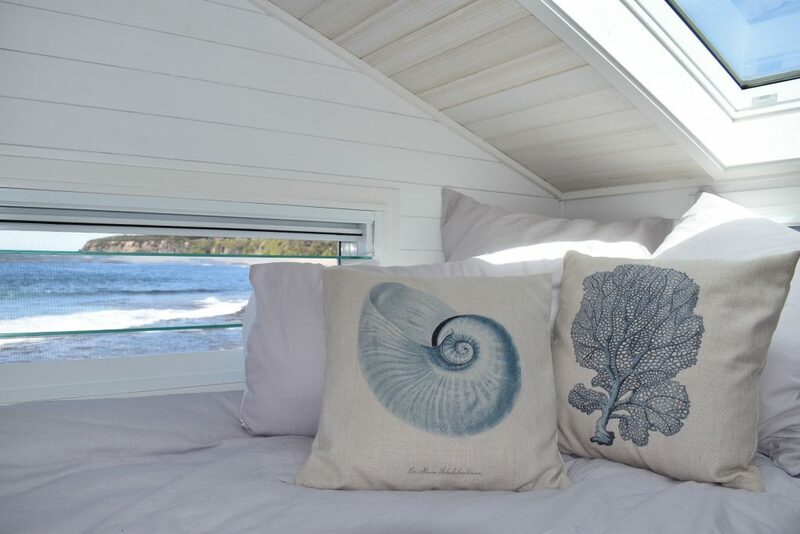 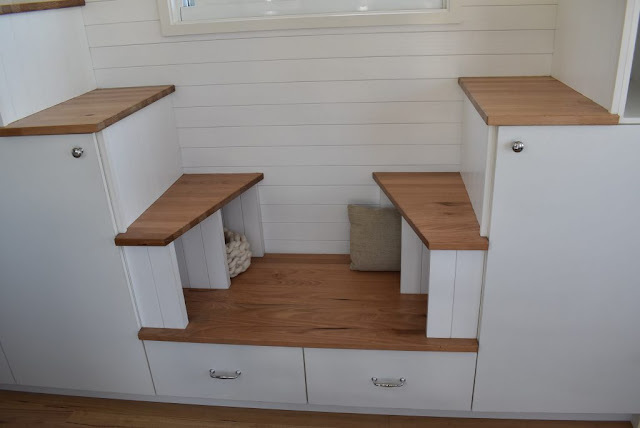 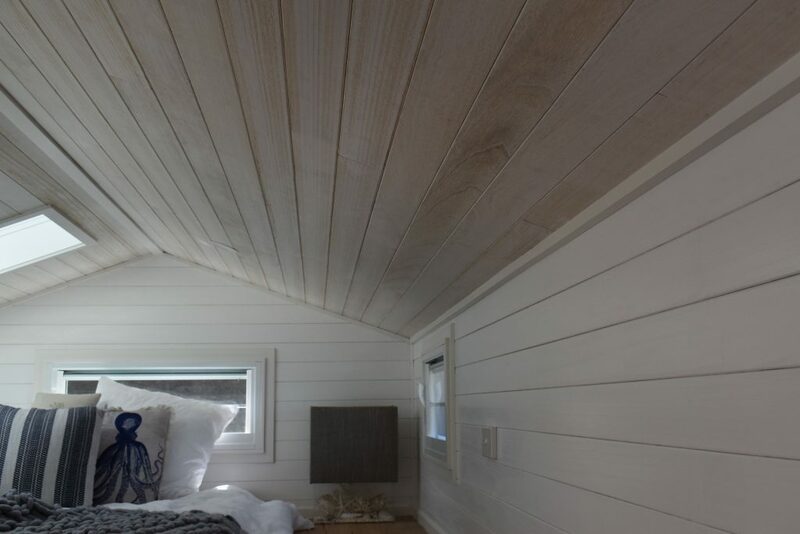 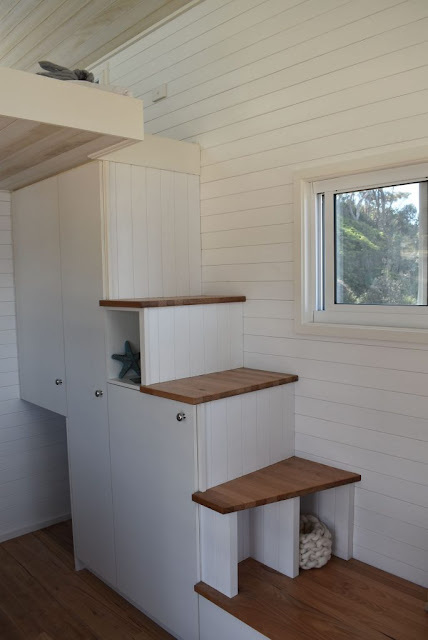 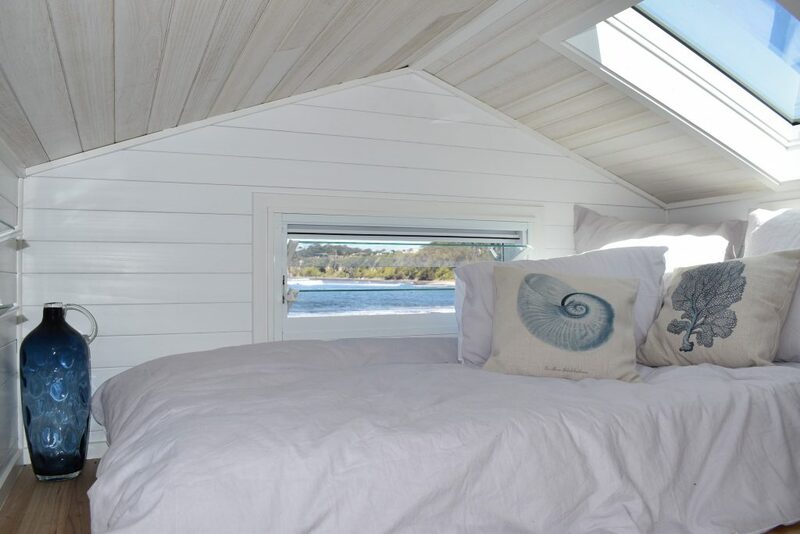 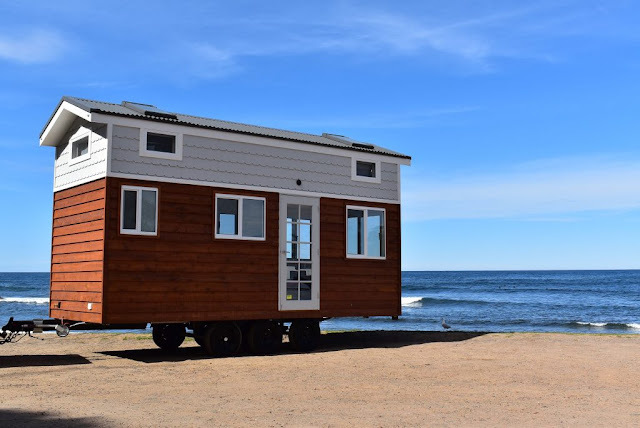 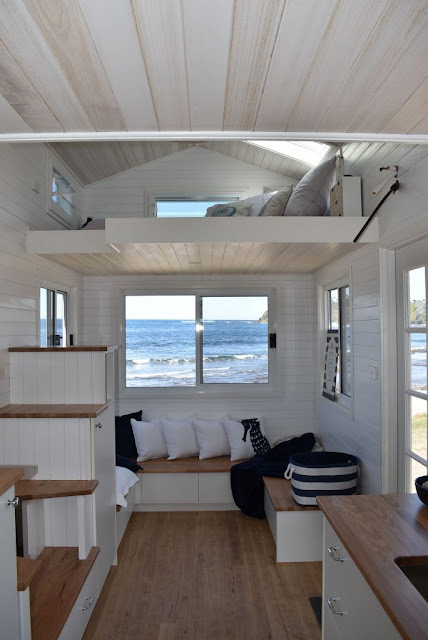 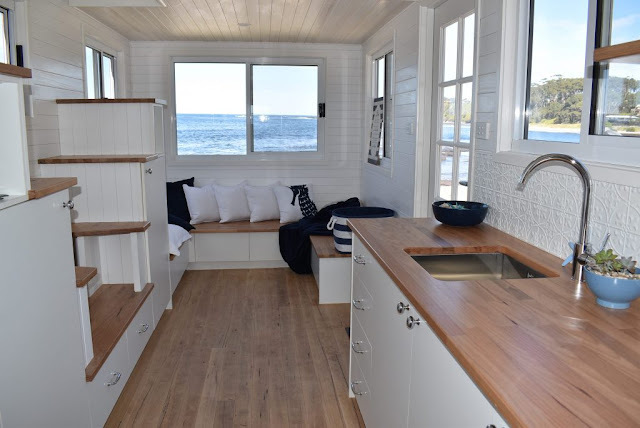 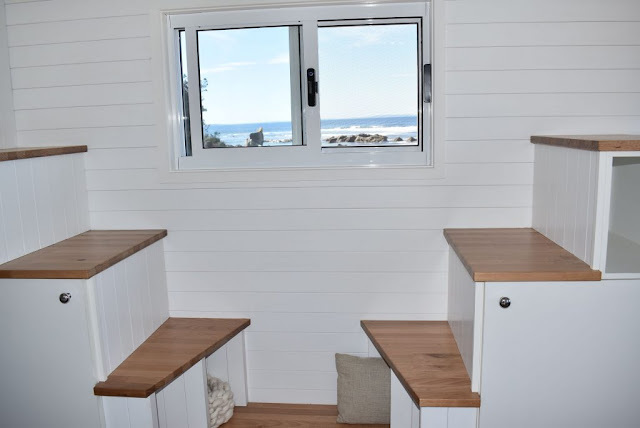 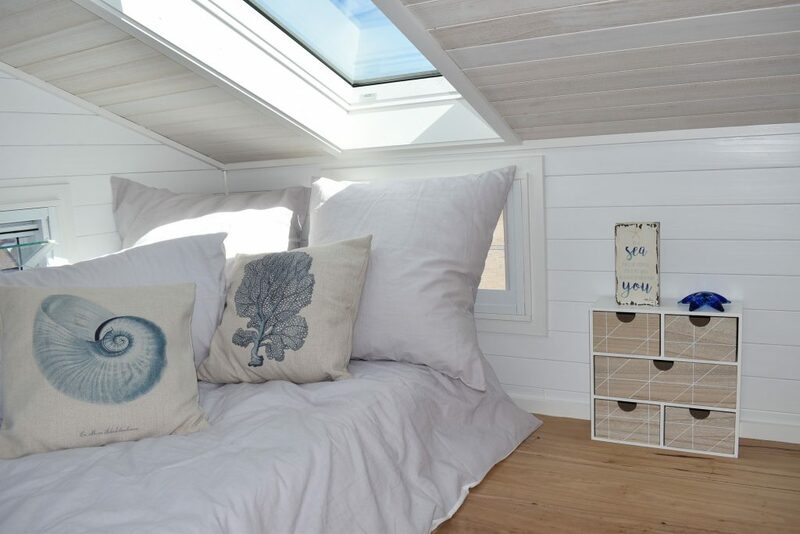 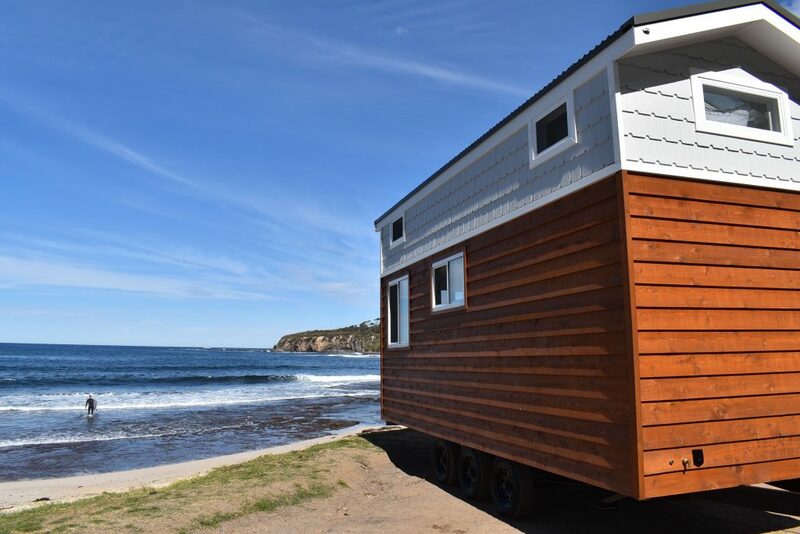 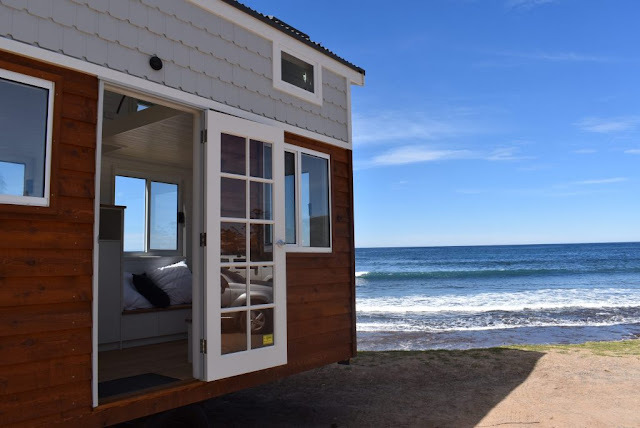 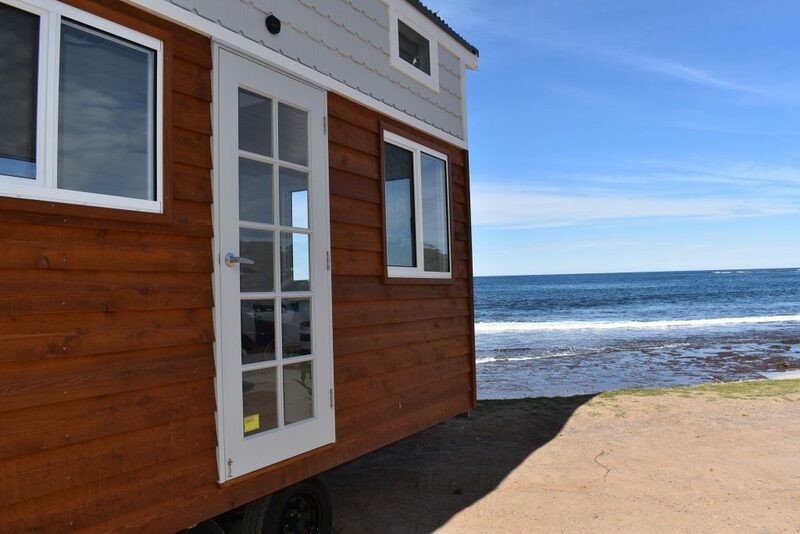 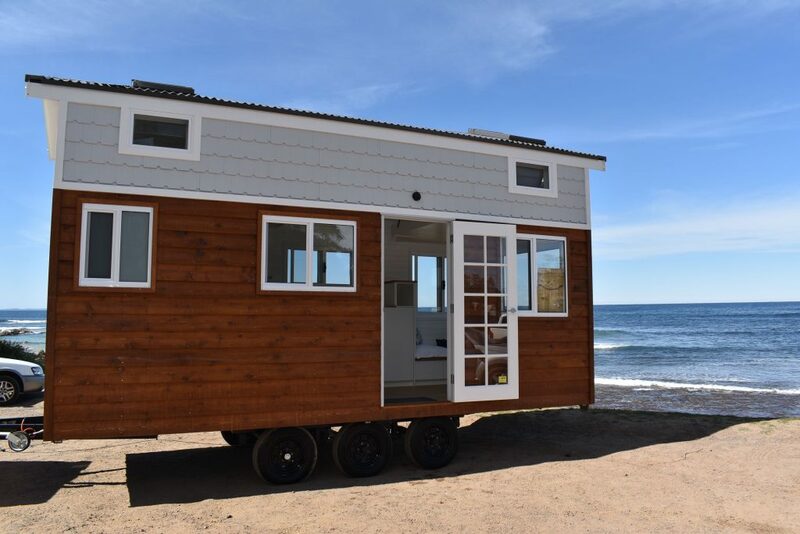 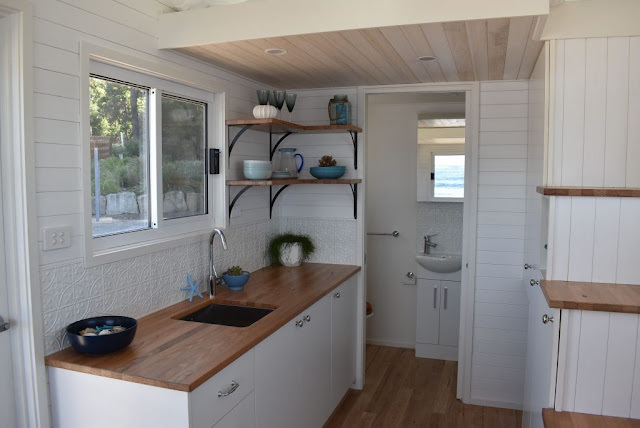 Check out this beautiful seaside tiny home, the Graduate! 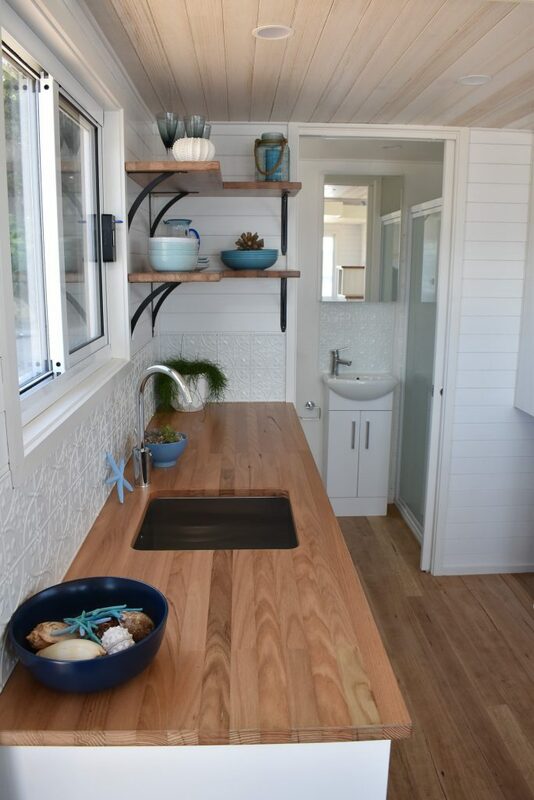 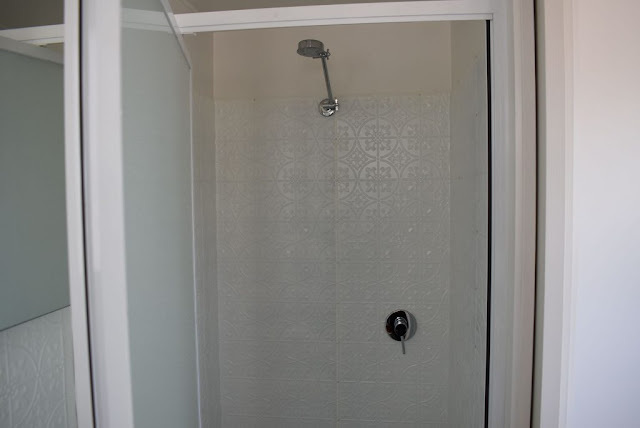 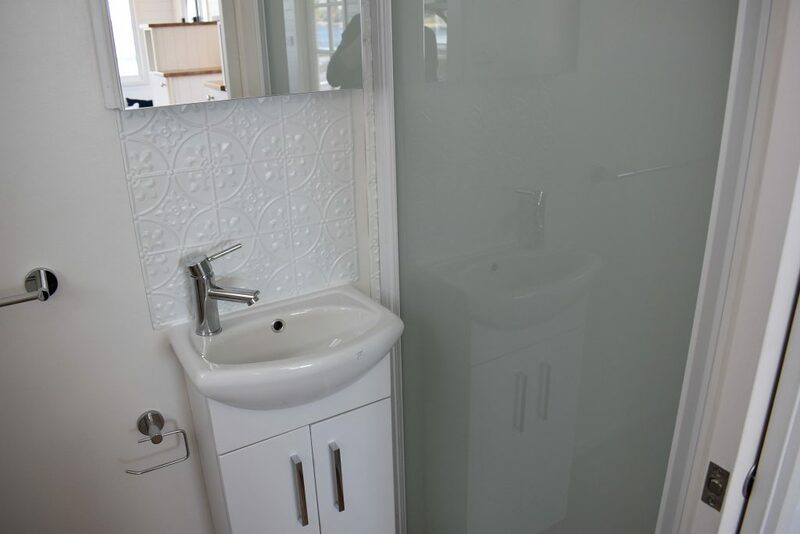 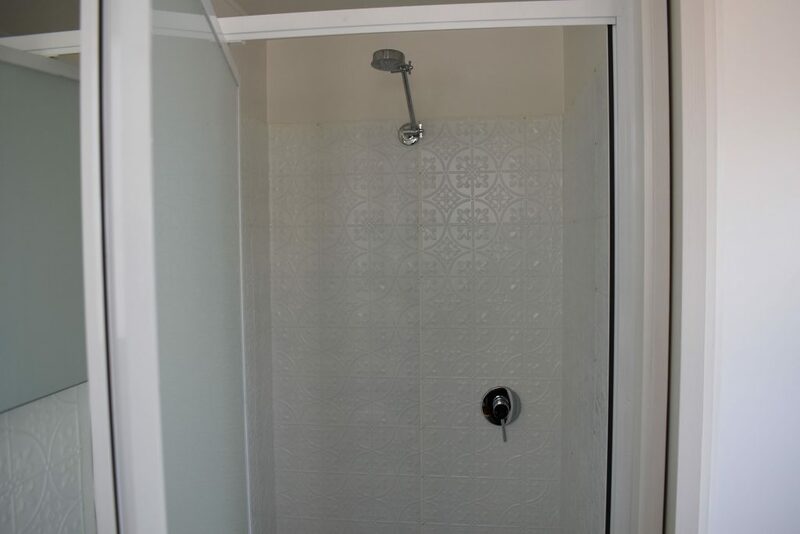 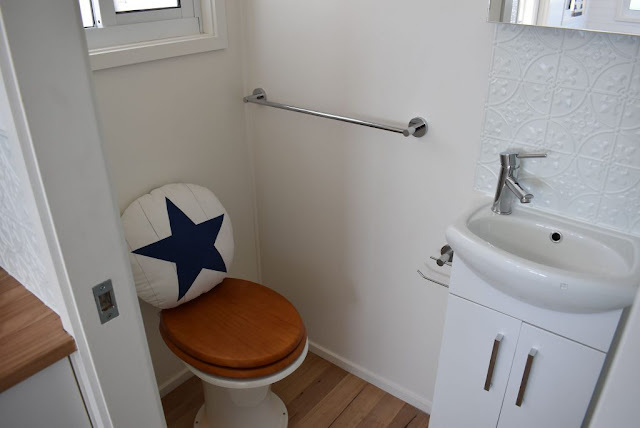 The home is designed and built by Designer Eco Homes of Australia. Its contemporary exterior features red cedar with a corrugated metal roof. Inside the home's bright and modern interior are two loft spaces, a full kitchen, bathroom, a lounge area, and a dining/workspace! 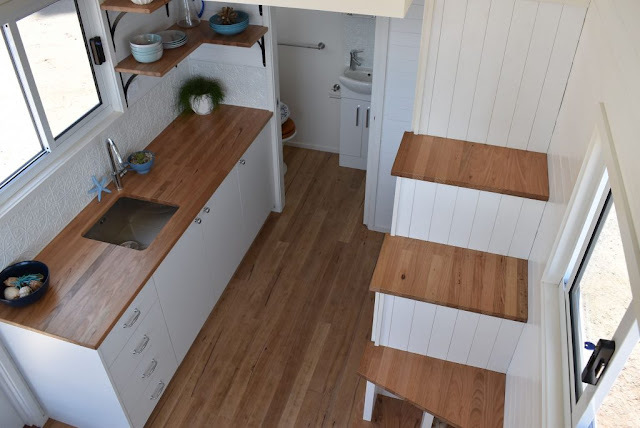 The kitchen also comes equipped with all the essentials including a cooktop, oven, range hood, fridge, and sink! 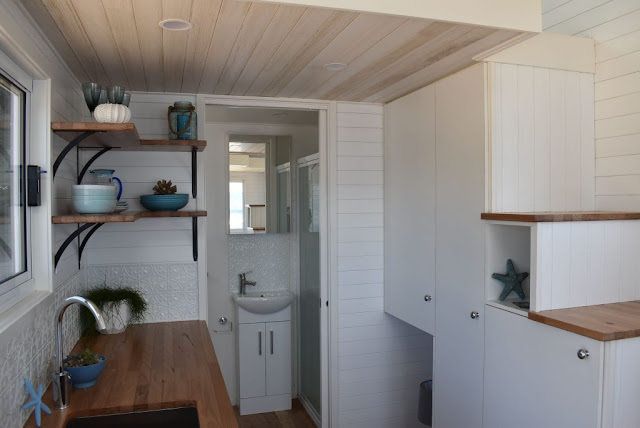 For more information, contact Designer Eco Homes here! 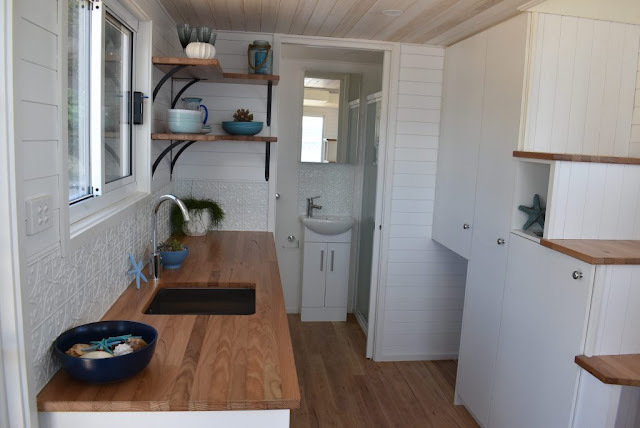 You can also view some of the company's other models here!